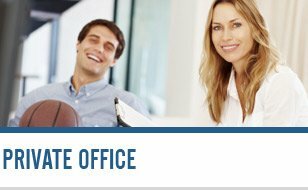 Our office for national and international tax law offers you a complete range of professional tax advisory service. Our support is reliable as well as consistent and covers all of your tax issues. Individual advice and personal contact are important to us. We apply a transparent charging policy. It is our essential concern to remain in close contact with our clients in order to provide them with foresighted tax advisory service. We will prepare your income tax declaration and all relevant tax declarations for you. Our company has gained broad experience in dealing with the typical tax situations of expatriates (expats). Relocations are often accompanied by considerable tax refunds due to deductible expenses and lump sums. After a first meeting, phone call or e-mail we will provide you with a checklist of needed information and documents. We can also give you advice regarding your tax planning. We provide you with reliable service when it comes to optimising the entire range of your tax and business issues. Due to our knowledge in international tax matters we can assist you with your activities both in Germany and abroad. Whether you want to do your bookkeeping yourself or allow us to partially or completely take care of it for you, we can offer you a suitable solution. We can prepare your declarations for VAT, corporate income tax and trade tax. We assist you with cash-based accounting for self-employed persons / freelancer and give you sound accompanying advice. Please contact us to discuss your requirements. We will be pleased to provide you with a tailor-made solution. If you come to Germany as an expat you may still receive income in your home country. We are highly experienced in the application of double taxation agreements in order to avoid taxation of the same income in two countries. When you decide to enter a foreign market, there are a variety of options open to you. These options vary with cost, risk and the degree of control that can be exercised over them. The simplest form of entry strategy is exporting. More complex forms include truly global operations, which may involve joint ventures. 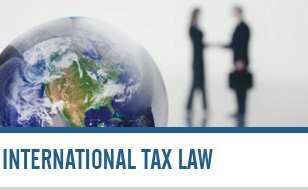 Our Office for National and International Tax Law offers you a complete range of professional tax advisory services. Furthermore, our support is both reliable and consistent and covers all of your tax issues. Particularly when it comes to international tax law, our knowledge is excellent. Individual advice and personal contact are important to us. We apply a fully transparent charging policy. It is our essential concern to remain in close contact with our clients in order to provide them with long-term tax advisory services. For additional information please contact us at the following number: +49 - 89 - 78 31 50, use our contact form or write an e-mail to kri [at] riedeltax.de. Our advice for your success! 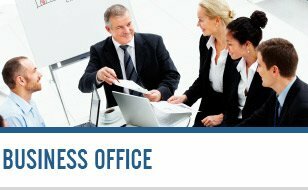 Our philosophy is to find the optimum solution that helps you keep your administrative workload to a minimum.